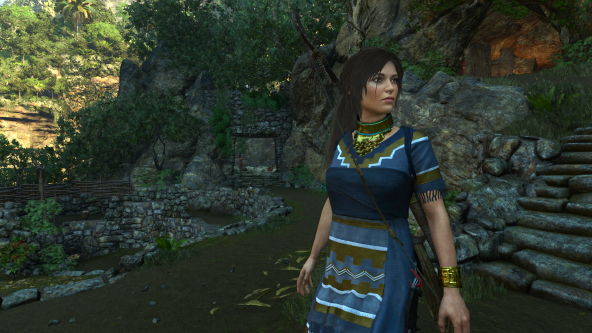 I mentioned in a previous post that I’ve been playing Shadow of the Tomb Raider. I’m really digging it. That’s not a huge surprise. I’m not a Lara Croft super-fan but I have enjoyed most of the games and in particular this most recent reboot of the franchise. So far (I’m guessing I’m about half-way through based on the number of ‘challenge tombs’ I’ve found) it has been a wonderfully varied experience. Sometimes I’m in combat, (which is brutal…if you’re squeamish you might want to skip this one), sometimes I’m solving puzzles, sometimes I’m just wandering through a village digging up lore and chatting with the locals. The pacing is great for me; I’ve yet to hit a point where I’m thinking “OK let’s move on from this.” At least not so far. I’m not going to delve too deeply into the gameplay since, well, it’s not a new game and I haven’t finished it anyway, but I did want to heap praise on the developers for the settings. First, on the Xbox One X (and I imagine PS4 Pro) you can choose Performance or Resolution options. It’s always nice when we users get to choose how a game uses the extra horsepower of these mid-generation upgrade consoles. Beyond that, there are three different difficulty settings: one for puzzles, one for combat, one for exploration. So if you hate puzzles but love combat, maybe you make the puzzles easier and the combat harder. Whatever you like; tailor the game to your play style. [Disclaimer: I left everything on the Normal difficult levels.] Second, there’s a camera bob setting. Sometimes 3rd person action games that take place in narrow passages can make me a little woozy since you’re always swinging the camera around to look for hidden secrets. 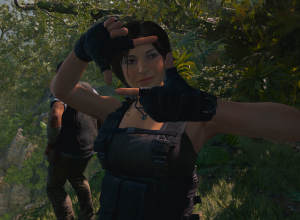 SotTR was doing that until I noticed an option to turn off the camera bob. It was like having a VR comfort setting in a non-VR game. Super appreciated, thank you devs! So I’m REALLY enjoying myself. 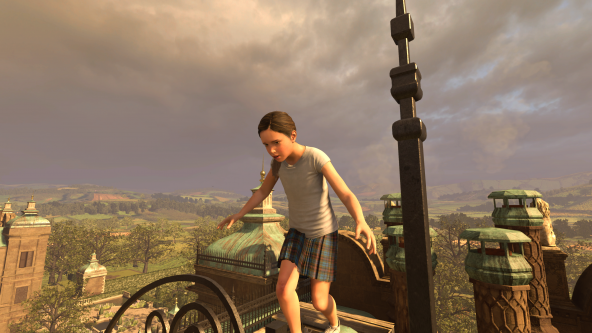 What has me feeling a little guilty is, I’m playing Shadow of the Tomb Raider via Game Pass. If you’re unaware, Game Pass is Microsoft’s subscription service for games. You pay a monthly fee and can play any of a broad selection of games (I think there are about 175 in the library now). I bought my Game Pass subscription during a Black Friday sale and loaded up a year’s worth for time for the price of a new game. I mean, it’s not my fault that the gaming industry has created a “race to the bottom” environment for game prices. But still…feeling a tad guilty. Maybe I’ll buy the Season Pass.